Firefly has been off the air and movie screens for years, but the fans keep asking for more. give us some new insights into the show from the shows writers. But the real bonus here is four new stories from the Firefly verse. Anyone of these could have been episodes – as they were written by the same writers who wrote the show. Yeaah, we’re excited too. Wow! Third episode of Dollhouse Stage Fright was fantastic! A few really great twists for sure..
A big twist – the biggest in our view – was the fact that the Russian Mobster pursued by Agent Ballard – Victor Lubov – is actually a Doll from Dollhouse!! We did not see that coming! So is Dollhouse trying to eliminate Ballard? Or is something else going on? And what’s up with Echo and Sierra nodding to each other at the end? Does that mean that they know each other? That they remember and their aren’t totally erased after the mission? 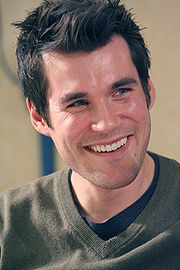 Sean Maher – the actor who played Doctor Simon Tam in Joss Whedon’s Firefly (and Serenity). 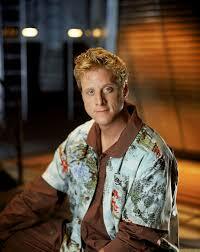 No we haven’t see Maher yet in the series though he is officially set to be among Dollhouse’s cast. It would be a delicious irony – given that we know Alpha cut up his victims with surgical precision (and Dr Tam was a surgeon).